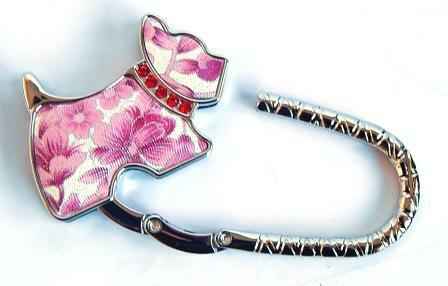 Handbag hooks are a functional accessory and very easy to use. Simply uncoil the hook, place it on the table and hang your bag from it. Perfect to keep your bag off the floor and allows you keep your bag in your view at all times. The hanger is slim,light and fits neatly in your bag or purse. 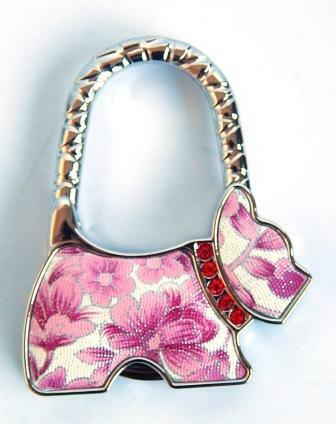 It can also be hung on your bag as a decoration. 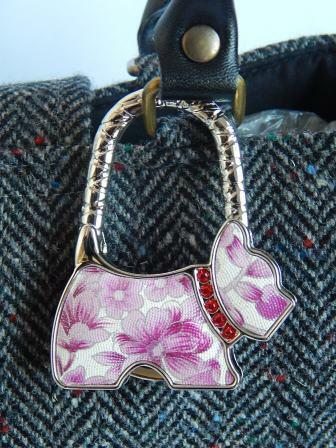 Purple floral dog shaped handbag hook.